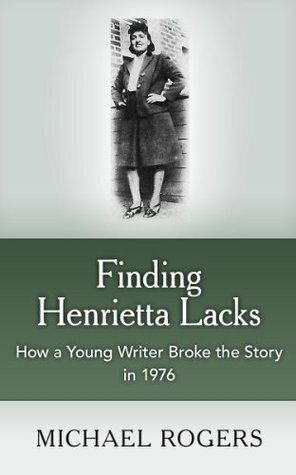 I love this as a supplement to The Immortal Life of Henrietta Lacks. Michael puts his entire Rolling Stone article, which is referenced MANY times in Skloot's book, in this little mini-read. You must buy it! A good add on to The Immortal Life of Henrietta Lacks by Rebecca Skloot. It contains the article that inspired her journey to find the genesis of HeLa cells! Cool story by the guy to bring the Lacks case to light. Kind of felt like he was competing with the novel. Once again reality is stranger than fiction !!! When we discover what happens to people that are doing the best they can, yet get destroyed by those that are supposed to help... Scary world !! This is a good companion read to The Immortal Life of Henrietta Lacks by Rebecca Skloot. It is the story of how Michael Rogers originally got the story of the woman behind the HeLa cells. Really nice little top-up to Rebecca Skloots book but not really worth reading unless you're already familiar with that book. Most of what Rogers writes here is best understood after reading Rebecca Skloot's book, but I'm glad I didn't miss this little gem. I enjoyed reading Mr. Rogers' book.